Most sales managers want their teams to flourish, but they often have difficulty providing the help and guidance their reps sorely need. The lack of results cascades throughout the organization as poor individual performances amount to plummeting sales and revenue. In his new book, The Sales Manager’s Guide to Greatness, author Kevin F. Davis sets out to close the gap between good intentions and effective actions by offering sound time management and instructional advice to busy sales managers. Associate Editor Oren Smilansky spoke to Davis to learn more about the steps managers can take to get the most out of their sales teams. 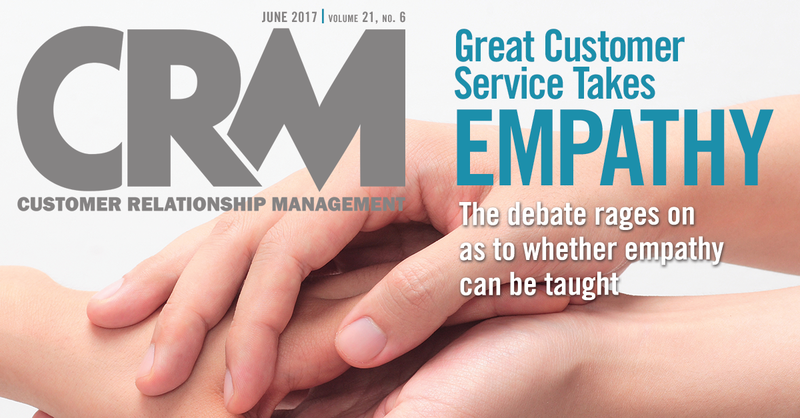 CRM magazine: What’s the most common mistake companies make with regards to the sales manager role? Kevin F. Davis: There’s a mistaken impression that an A-player sales rep will make for an A-player manager, even though the two jobs are completely different. Often companies promote a sales rep into a sales manager role and it doesn’t work out the way they thought it would. They assume that a great rep will become a great manager, but they’re not really focused on providing that new or experienced manager the specific skills, tools, and processes they need to get better. Should sales professionals be more proactive about preparing to enter managerial positions? I would suggest they look around and appreciate why other salespeople in their company are on their sales team and are successful. Because oftentimes a peak-performing rep achieves success because of something he or she does really well. One sales rep could be very good at prospecting; another sales rep can be very good at relationship building or networking. When a sales rep becomes a sales manager, he tends to see, and look for, versions of himself in the people he hires and the people that report to him without fully appreciating that there are different success attributes that contribute to peak performance sales achievement. Awareness that sales excellence comes in different shapes can make a manager more aware and a better leader. You make a distinction between “performance management” (evaluating past results) and “developmental coaching” (plans for improving in the future). Why is this important? Sales managers think they’re coaching when they provide salespeople feedback about what they have been doing over the past month or two. The problem is that the feedback—what we’re saying—is not closely connected to what the sales rep was actually doing. The example I used in the book is the game of golf. We’ve got to make sure that the golf pro can help me be a better player, that he or she actually saw me swinging the clubs and playing. Then the coaching is based on observation, it’s more specific, it’s connected to the actual swing and decision. It’s separated by much less time. When we sit down for our monthly or quarterly one-on-one, the feedback you give me in those meetings is far more specific and helpful. And therefore, your coaching has more credibility, and I’m more motivated to implement it. You mention that a common problem is that sales managers claim they simply don’t have time to coach. What are some tips you have for getting past that? It all boils down to priorities. A sales manager told me she gets, on average, 200 emails a day and spends two hours a day, every day, on her email. That adds up to 500 hours a year. If she could reduce the amount of time she spends on email by just one third through writing shorter emails herself and by instituting some team-based standards and techniques—such as putting “NRN” [no reply necessary] in the subject line, not CC’ing everybody, and not bothering to say “thank you”—she would gain 22 full days of coaching time a year. The key question every sales manager needs to have in mind as she goes through the day is whether her actions are actually going to improve her team. Ninety-nine times out of 100, the answer is no. And so they end up spending all day doing other people’s stuff. They convince themselves that if they do this stuff for everybody else, their salespeople will have more time to make sales calls. I would urge managers to question that.